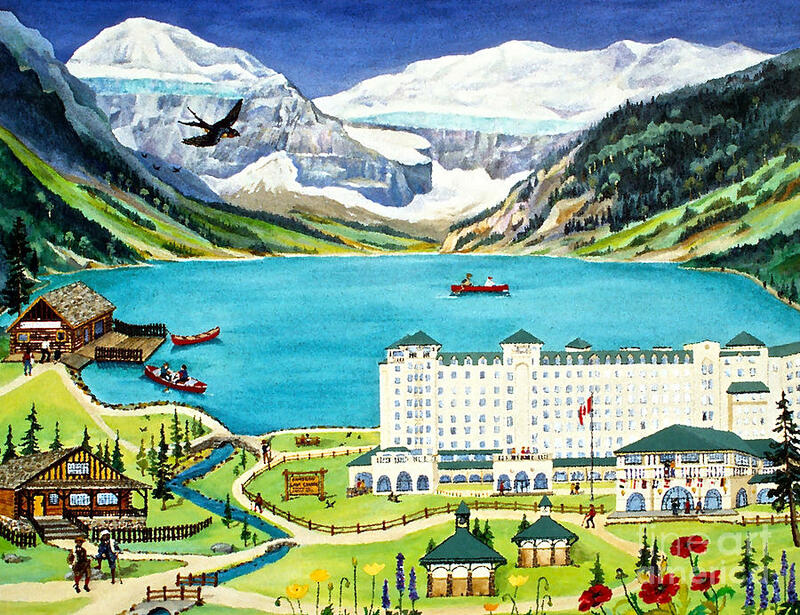 Lovely Lake Louise is a painting by Virginia Ann Hemingson which was uploaded on July 17th, 2010. 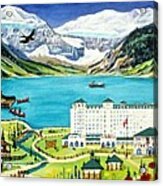 Lake louise is a beautiful place to visit during the summer and is a World Heritage Site. 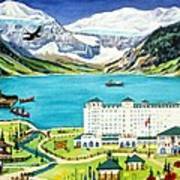 A walk around the lake or a canoe ride beneath Victoria Glacier is an unforgettable experience. This original canvas measures 4 X 6 feet and was sold to a private collector from New York, USA. Awesome work! Congratulations on your sale! congrats!! on ur sale... very nice..
Congratulations on your sale, Virginia! Beautiful work, well executed!! Thank you. Lake Louise is such a special place! !